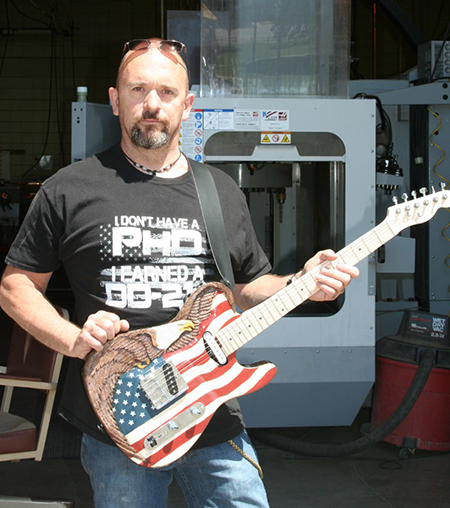 Wayne Fleetwood, a veteran of the U.S. Army and student in Cowley College’s Machine Tool program, recently completed a breathtaking guitar in the school’s Machining class. Fleetwood, who has a 4.0 grade point average, painted and sanded the instrument while also hand carving an eagle design into the guitar. Ricky Squires, Machine Tool instructor, said every fourth semester student in the program has an opportunity to make a guitar.